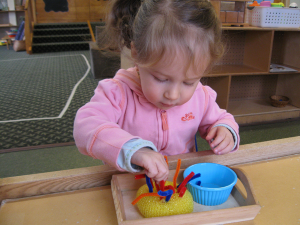 Namaste Montessori School was founded in August of 2004 by Bridgid and Stanley Beames. It was initially licensed as a NYS Family Daycare and located in the Beames’ family home, 3011 Halseyville Road, Trumansburg, NY. It has been Bridgid’s lifelong dream to open her own Montessori school, this dream combined with the need for day care in the area and overwhelming community support inspired Bridgid and Stan open Namaste Montessori School. 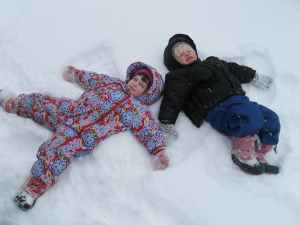 Due to an overwhelming response to the program and an extensive waiting list, Bridgid and Stan expanded the program to become a NYS Licensed Group Family Daycare in the spring of 2005. Soon after the expansion Bridgid and Stan created a long-range plan and blue print for the growth of school. The next phase in the growth of the school required moving the program out of their home into to a larger site. In December of 2006 the building and property at 1608 Trumansburg Road was purchased. Renovations were completed in the spring of 2007. 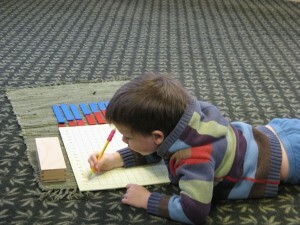 In the June of 2007, Namaste Montessori School became a NYS licensed day care center and moved into their new facility. The program expanded from one classroom with a capacity of fourteen students on any given day to two classrooms (a preschool program and a toddler program) with a total capacity of thirty-one students on any given day. In 2010 the school took a close look at the needs of their families and the community. After careful reflection a decision was made to continue to expand the school and a new ten year long range plan was established to grow the school through the middle school level as well add additional primary and toddler level classrooms. In 2011 the property located at 1872 was purchased and renovated to become Namaste Montessori School’s Elementary Campus. The organization of the school was restructured and legal papers were filed to create an educational corporation and to be chartered by the New York State Department of Education. The founding elementary class opened its doors in September of 2011. In the next five years the school plans to build additional classrooms and a community meeting space/gym on the primary campus. The elementary classroom will be relocated to this campus and the Middle School will expand to fill the Jacksonville Campus. Namaste Montessori School is licensed by the New York State Department of Family and Children Services and affiliated with the International Montessori Council, the American Montessori Society, and the National Association for the Education of Young Children. 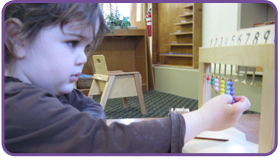 Namaste Montessori School is chartered by the New York State Board of Regents as a private school. The school is operated on a daily basis by an administrative and teaching staff overseen by the Head of School and Executive Director. The Head of School and Executive Director are guided by a Board of Directors.